Tempered glass is put into use in many different ways. Indoors it can be used for glass doors, shower walls or glass stair banisters. Outdoors, the custom-made glass is often used for car windows or balconies, as it breaks into many more and much smaller pieces compared to normal glass and hereby reduces injuries. In order to fulfill these requirements, a lot of care and attention to detail is necessary, especially during the production. Tempered glass manufacturing is complex, time intensive and generates high energy and personnel costs, making it important to detect defects in the early stages of production. Many businesses continue to rely solely on their staff to inspect the glass manually before it is put through the tempering furnace. However, this method can be very unreliable when inspecting horizontally laying panes of glass, especially when the lighting is not sufficient. The place of inspection can have a further negative impact on the production lines’ efficiency, as defective glass cannot be replaced immediately. 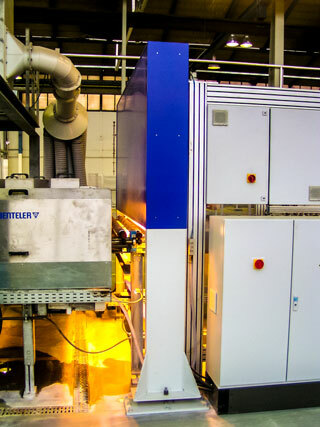 The full capacity of the tempering furnace can therefore not be exploited, and may even cause supply shortage due to the time consuming re-working of the glass. The many options presented by digital image processing replace flawed, manual inspections with automated and quick processes that reliably pin-point even the smallest defects. 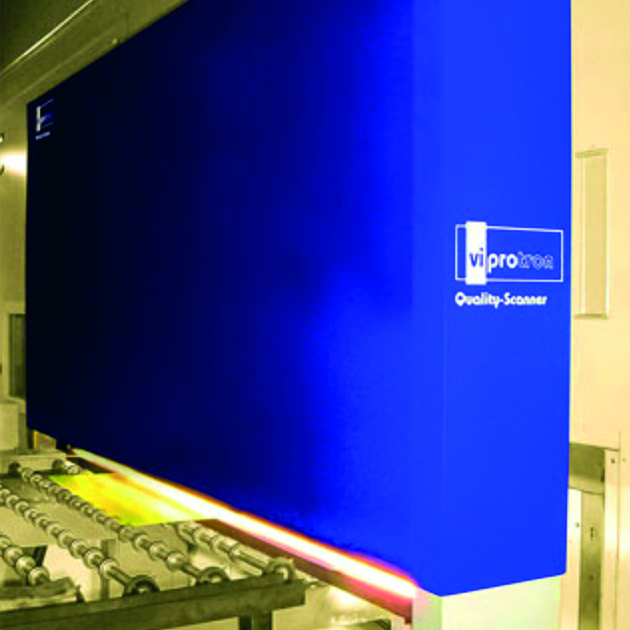 With the Viprotron systems you can optimize every stage of your tempered glass production line. 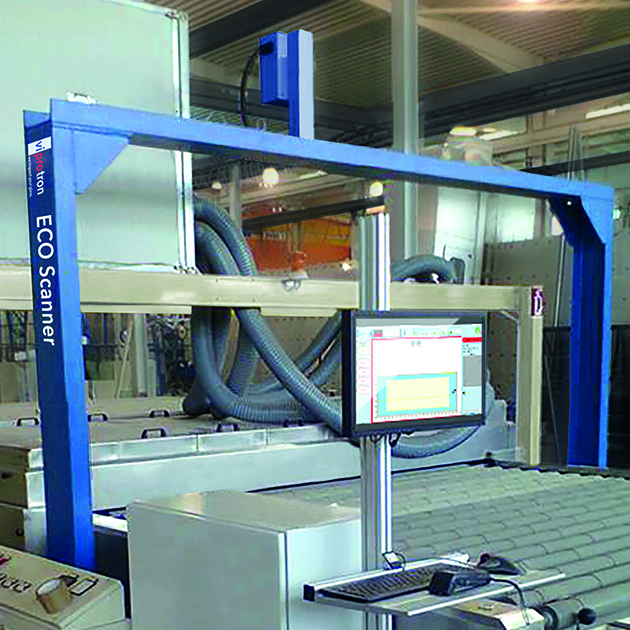 After the Double edger the Quality Scanner inspects the panes for glass and coating defects and for dirt. The defective glass can then be reworked or taken out of manufacturing. The system is therefore placed directly after the washing machine. The placement of the Quality Scanner directly after the washing machine lends itself perfectly to; detecting glass defects, inspecting the positioning and the measurements of the drilling and fräs process and checking the exact dimensions of the glass panes. When integrated into the production line after the furnace, the Quality Scanner can examine the final quality of the products. This includes; detecting glass defects, checking the precision of the drilling and fräs process and inspecting the exact dimensions of the tempered glass panes. Especially when dealing with high quality glass, a final inspection of the end product using the Quality Scanner and Quality Checker in combination is a necessary procedure. During this process, the finished tempered glass is washed and checked one last time for any quality relevant defects, including the drilling and fräs measurements and the smallest glass or coating errors, resulting in the perfect solution to please even the most critical clients.